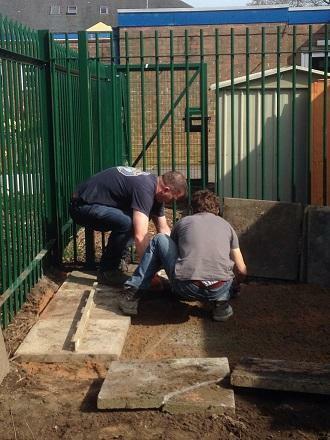 The preparatory work for the new shed, one of the items being funded by Health Shield, went well this weekend. The ground has been leveled and slabs laid and cemented in. 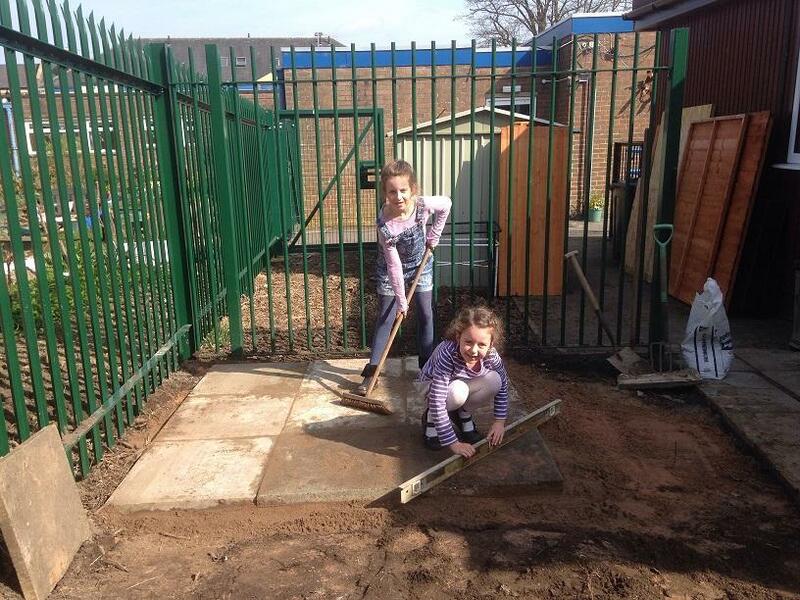 Thanks very much to Mr and Mrs Rothera, Mr Bentley, Alice and Isabella for doing this. 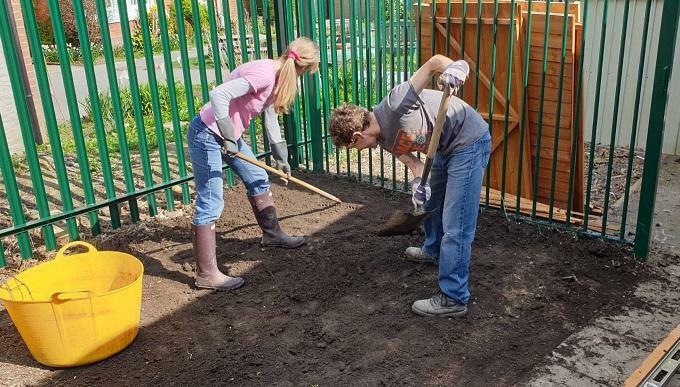 We would also like to say a big thank you to Tony and Fenella Dyke for the bench they have donated to Mary's Garden and to Ilona Herbertfor donating slabs for the pond area.